You may need to wait for the web camera to load for live images from Kelly, Wyoming. Kelly, Wyoming, is situated on the north bank of the Gros Ventre River, ten miles from its confluence with the Snake River. It is sandwiched between the National Elk Refuge and Grand Teton National Park, and lies at the geographical hub of the Jackson Hole Valley in the southern half of the Greater Yellowstone Ecosystem. 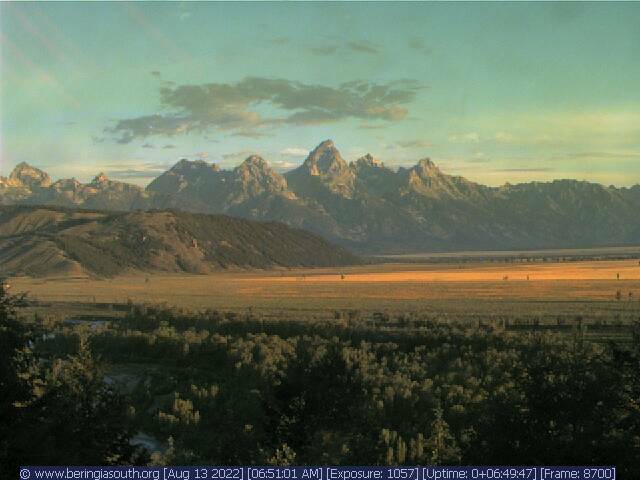 The webcam below shows Blacktail Butte sandwiched between the Gros Ventre River and the length of the Grand Tetons.